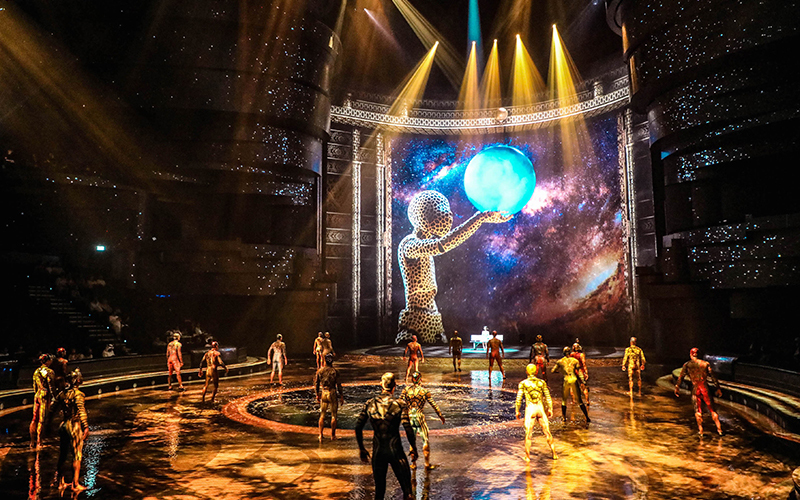 La Perle by Dragone is celebrating its 500th breathtaking performance milestone by partnering with Asian fusion restaurant, Namu, to create a limited edition dinner and show package. From October 31st to November 10th for only AED 500, guests will be treated to a Gold ticket to La Perle (worth AED 840) and a delicious set menu at the Korean and Japanese restaurant in the V Hotel Dubai, Curio Collection, complete with one complimentary beverage. Set on the 31st floor, Namu not only offers mouthwatering food, but it boasts one of the most incredible views of the city from its panoramic floor to ceiling windows. Whether it’s date night, family are in town or it’s just a random Tuesday night, this deal is the perfect excuse to finally visit the award-winning show or go and see it again for an amazing price. Top tip: try sitting in a different location in order to see La Perle from a completely new perspective. Dinner and show packages can be purchased from the La Perle website, and reservations for the 7pm show will be confirmed for 8:30pm and reservations for the 9:30pm show will be for 8pm. Details: La Perle takes place twice a night, five days a week at Al Habtoor City, Dubai. Performances run from Tuesday to Friday at 7:00pm and 9:30pm, and Saturday at 4pm and 7pm.